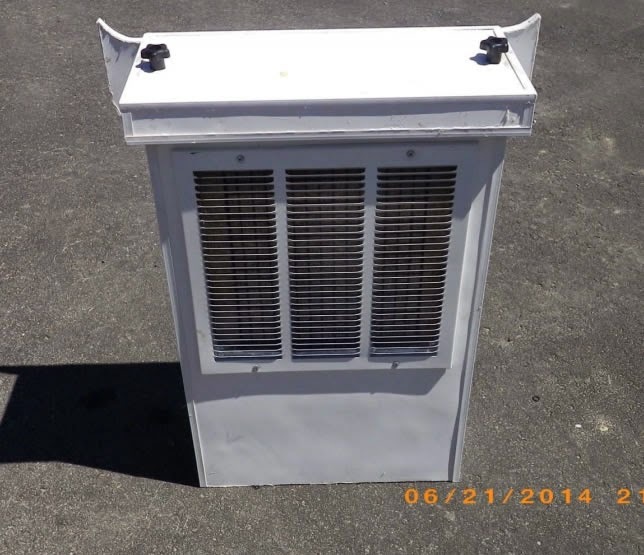 Tom has come up with a very nice evaporative cooler for his RV. The cooler is effective, uses very little electrical power, and is inexpensive and relatively easy to build. The system uses fans to blow outside air through a porous wet cooling pad. Evaporation of water in the cooling pad cools the air, dropping the temperature by as much as 25 F.
The compact unit contains a water reservoir, water pump, aspen cooling pad, and circulation fans as shown in the diagram. 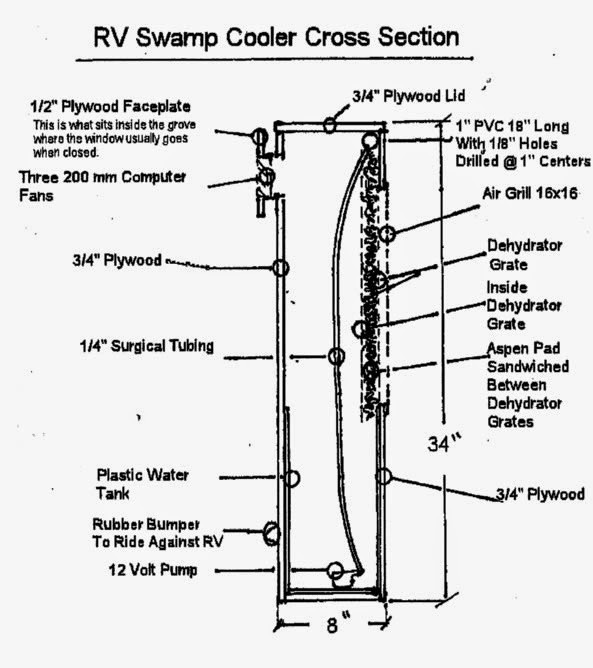 Diagram showing how the cooler operates. The finished unit ready to install. 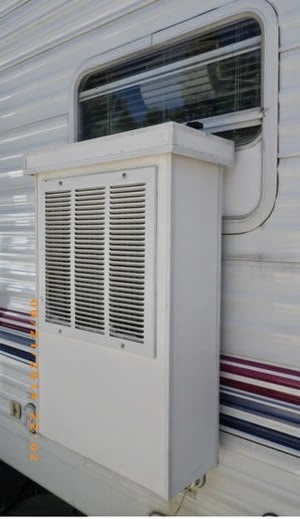 Tom uses this to cool his RV -- it uses only a fraction of the power that conventional coolers use and allows him to rely solely on solar power when camping off the grid. The same sort of design could be used for all sorts of cooling applications -- cooling a living space or shop or greenhouse with no grid power, cooling when the power grid goes down, ... For this size cooler, the fans and pump only use about 18 watts at 12 volts -- so a modest size PV panel could direct drive the cooler. The design could be scaled up for larger spaces.